As I was blessing my home today, I remembered how this all started, how things use to be, and how much things have changed. It made me smile! I’d like to share my smile with you.It was only three years ago. My husband was working a very stressful job and had just come home from another killer day. Our 4 kids were loudly greeting him, fighting amongst each other and begging him for his attention and defense. I had was a new FlyBaby, about 3 months old and was still taking BabySteps. I started to notice a difference in myself almost immediately, my family was not so in tune. Until that night. Like I said the kids were loud, my husband was stressed, and I…. well, I had it all under control. Dinner was on the table right on time. I told the kids to leave their father alone and sit down at the table for dinner. We all sat down to a nice, fulfilling, healthy dinner. I have been FLYing for 3 years now. My household and my life are under control. My husband is now working at a less stressful job, and our kids, well they still fight amongst themselves, but that is a work in progress. My family doesn’t participate in my journey to FLY, but they have accepted that this is what I do, it’s become part of who I am. Words like rubba scrubba, 27 fling boogie, and kid’s challenge have become common place in our home. My family is able to find the things they need, and our life is predictable thanks to calendars. (which has made a great difference since both my DH and oldest DS are both bipolar). I use FLYterms in my daily life and sometimes get strange looks, but my kids know what they are and are quick to explain. FlyLady here: Using your calendar is about developing the habit to look at it and write down appointments and basic weekly plan. You will FLY with good calendar habits! Use Coupon Code MUSING483 to save 20%! It wasn’t until I incorporated looking at my calendar; morning, afternoon, and evening; that I was able to find peace. This is why we developed a calendar that is big enough for milestones, menu planning, busy schedules, and had 17 months! The 5 month grace period gives us the ability to schedule events next summer. Are you still struggling with a calendar that does not fit your needs? Get your calendar ordered today! Use Coupon Code MUSING483 to save 20%! Think of it this way! 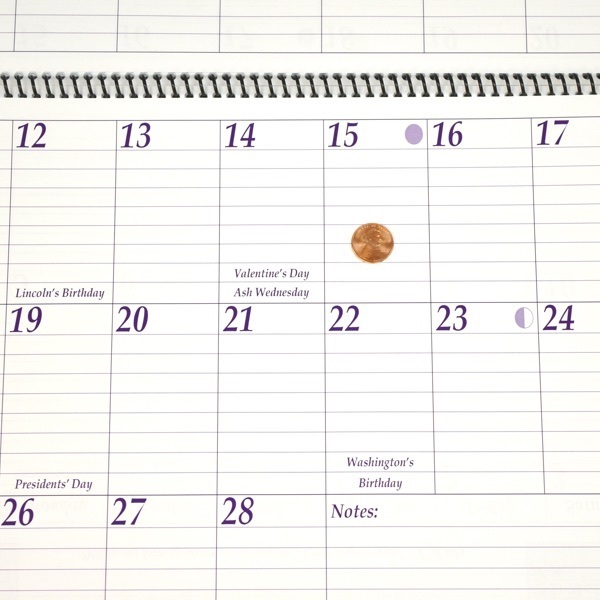 The money you save menu planning for ONE week will help you to purchase the FlyLady Calendar. This entry was posted in testimonials and tagged calendars, flylady, stress free. Bookmark the permalink.